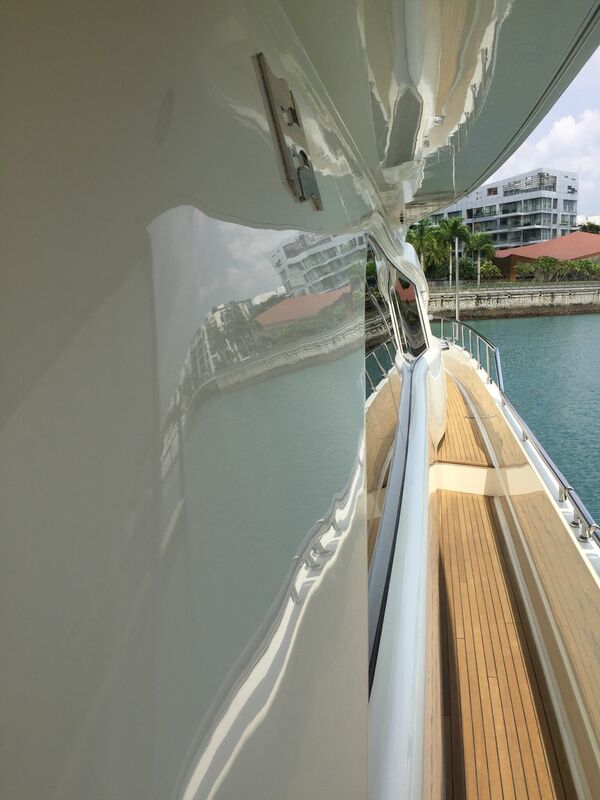 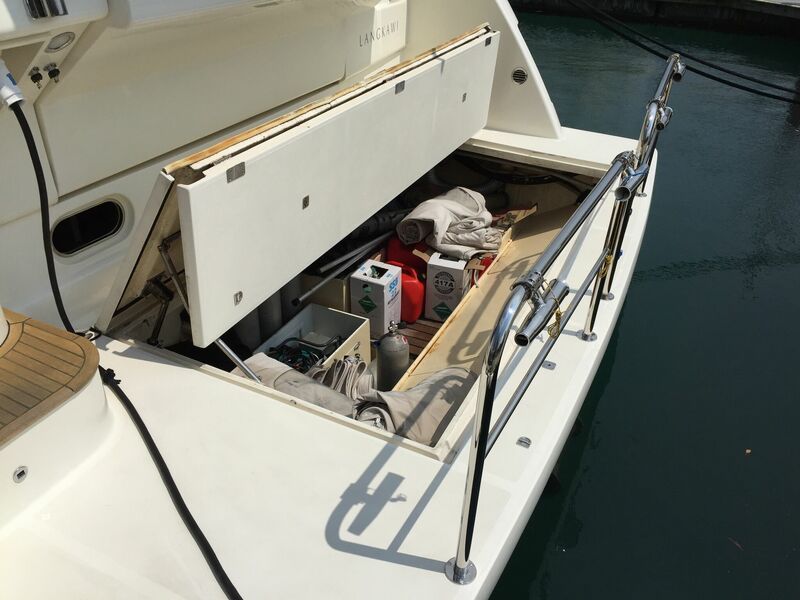 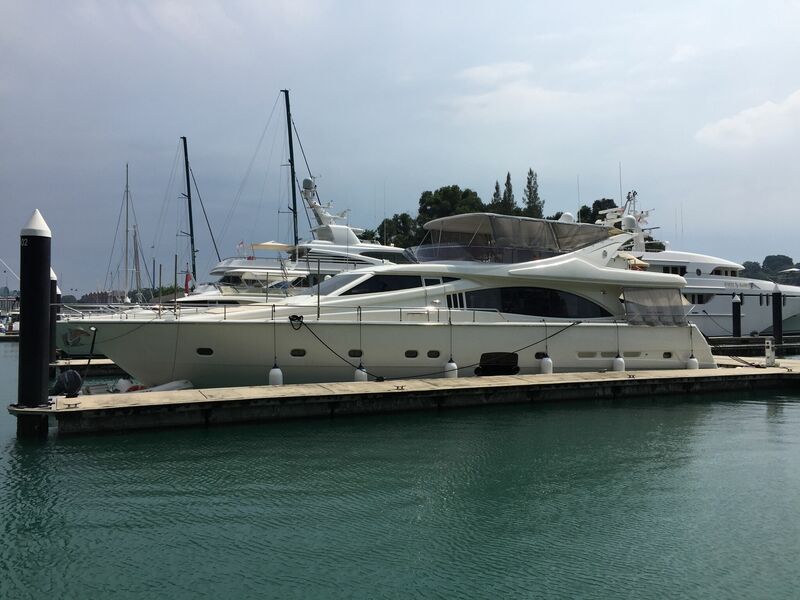 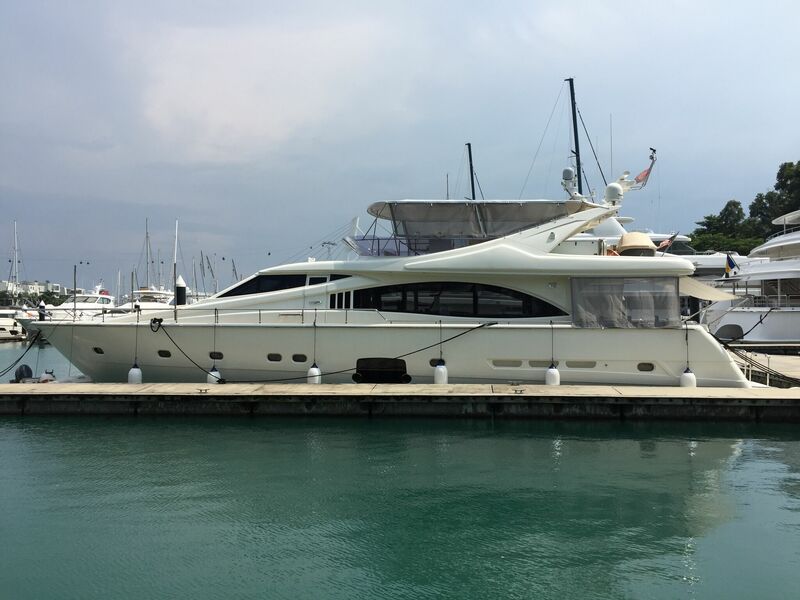 A well maintained 2006 Ferretti 731 equipped with all that you would want on a boat of this size. 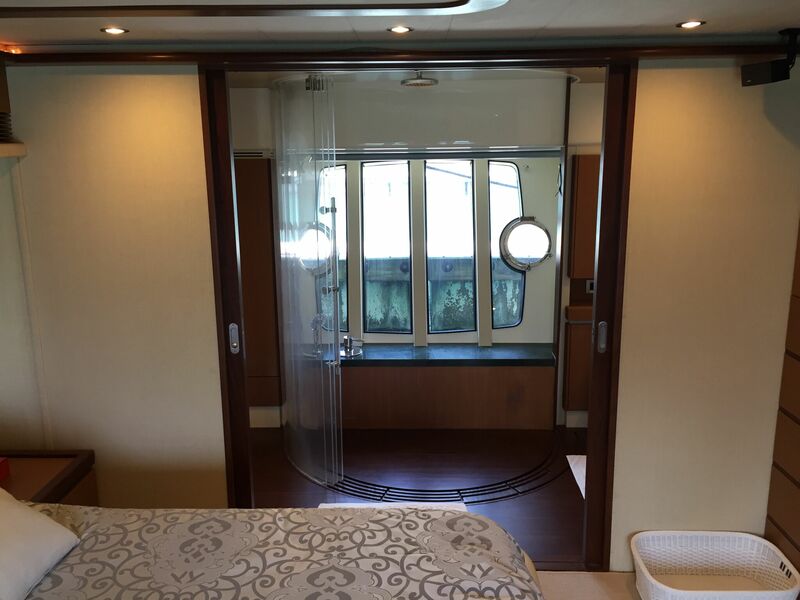 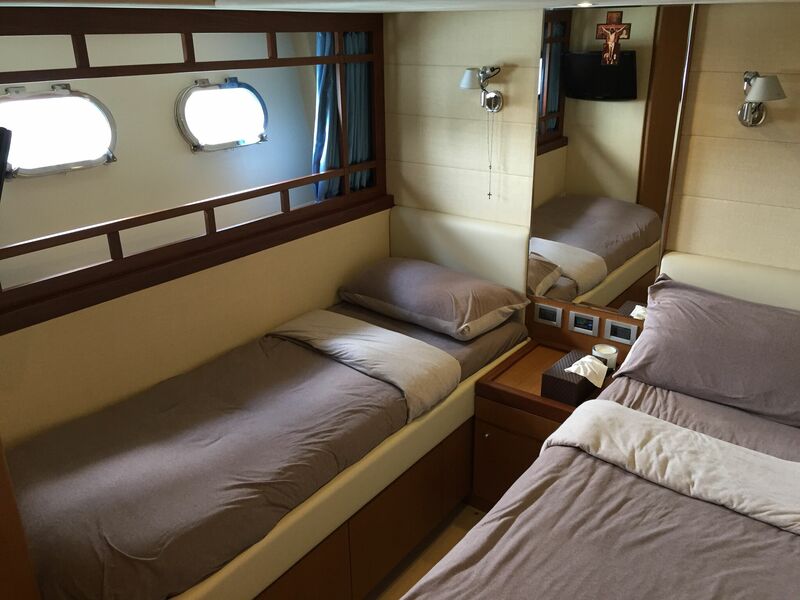 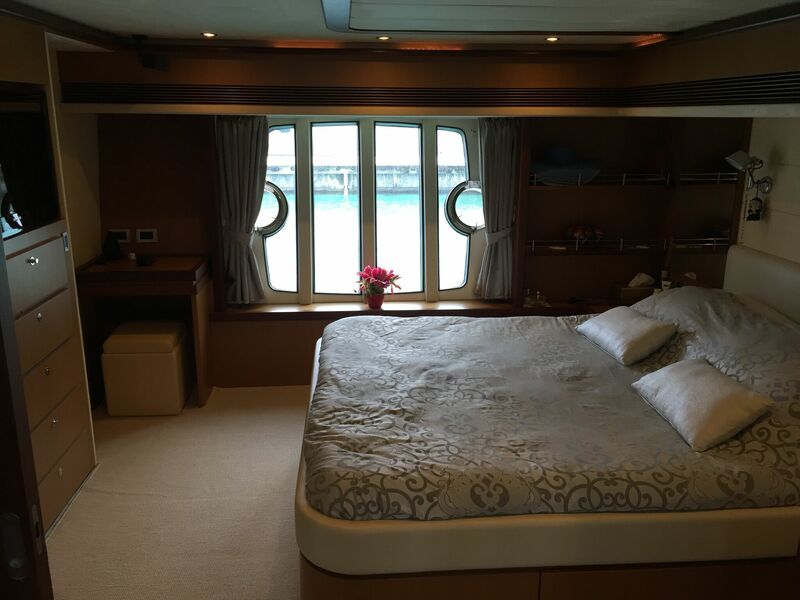 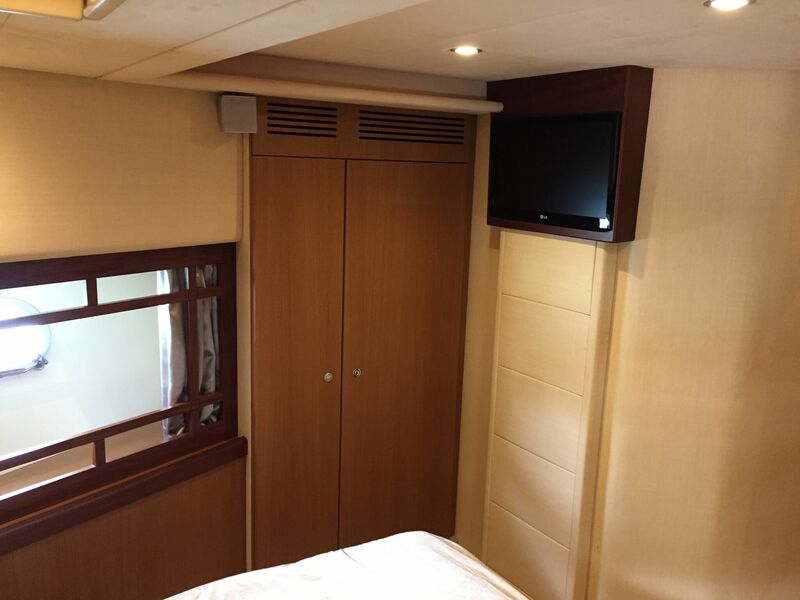 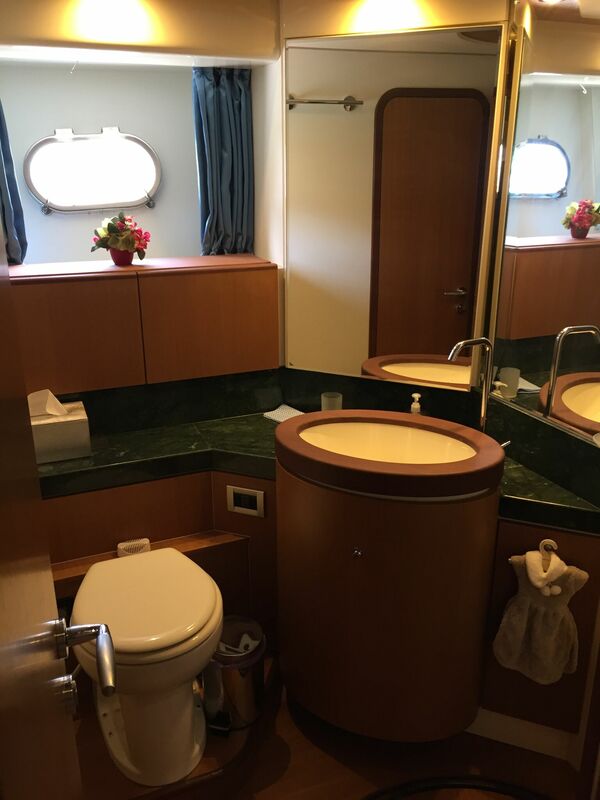 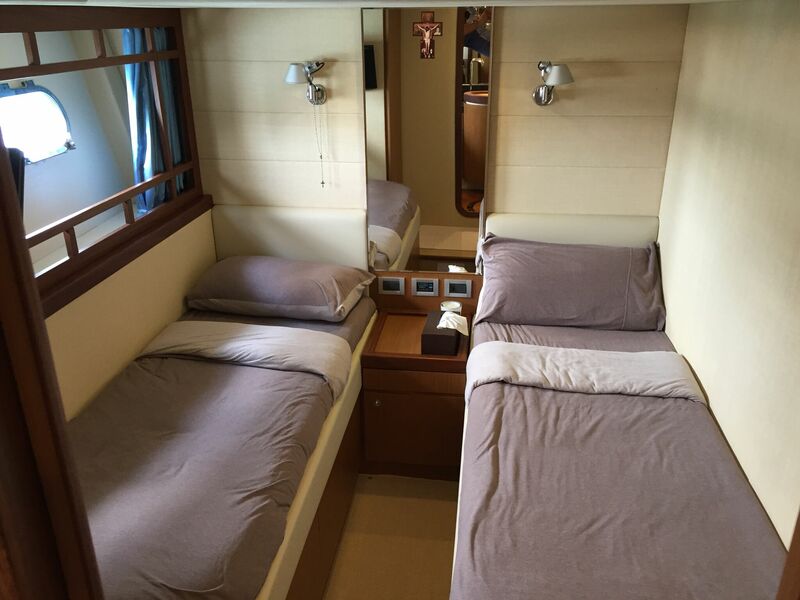 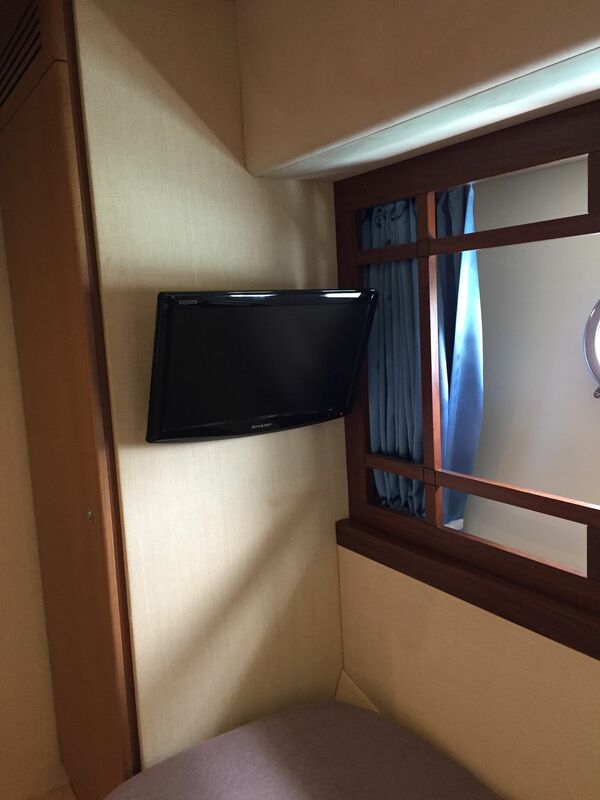 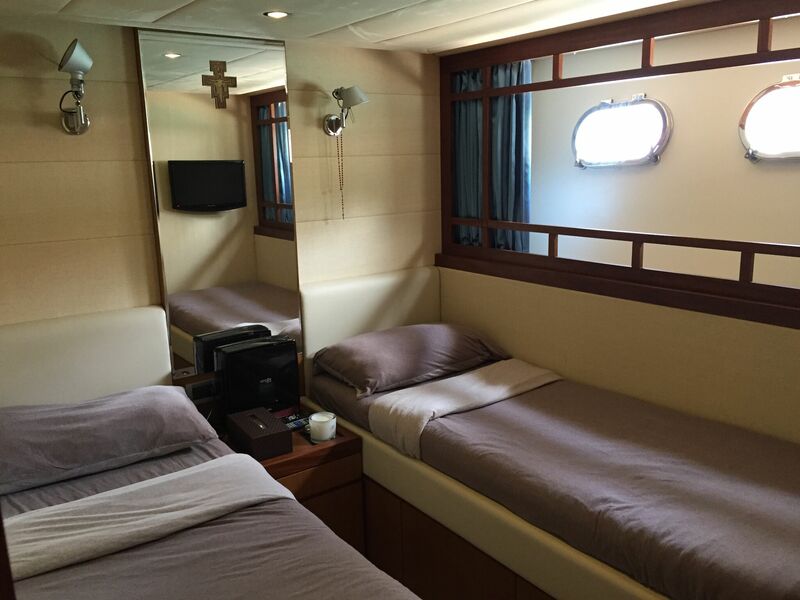 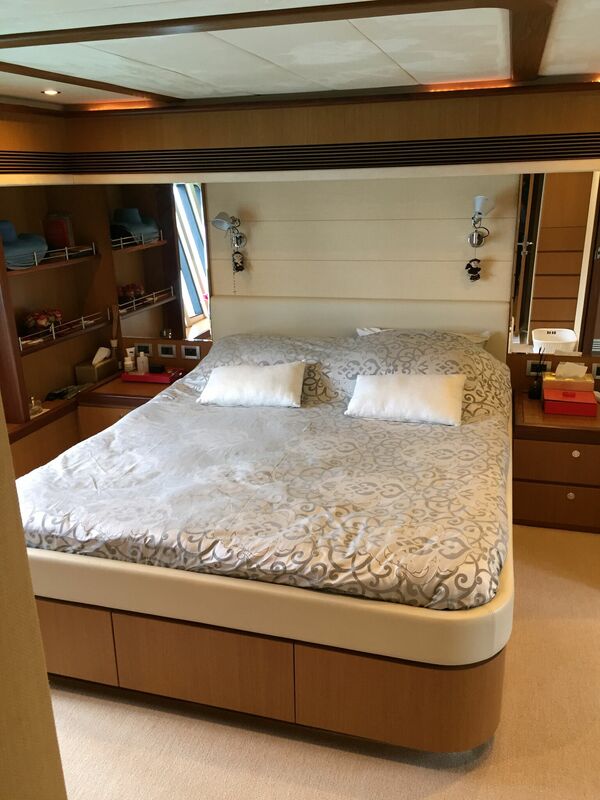 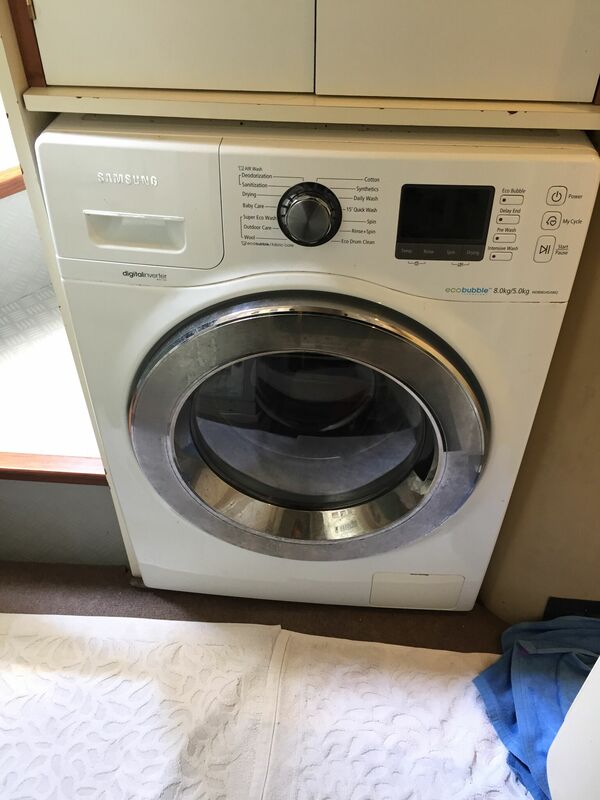 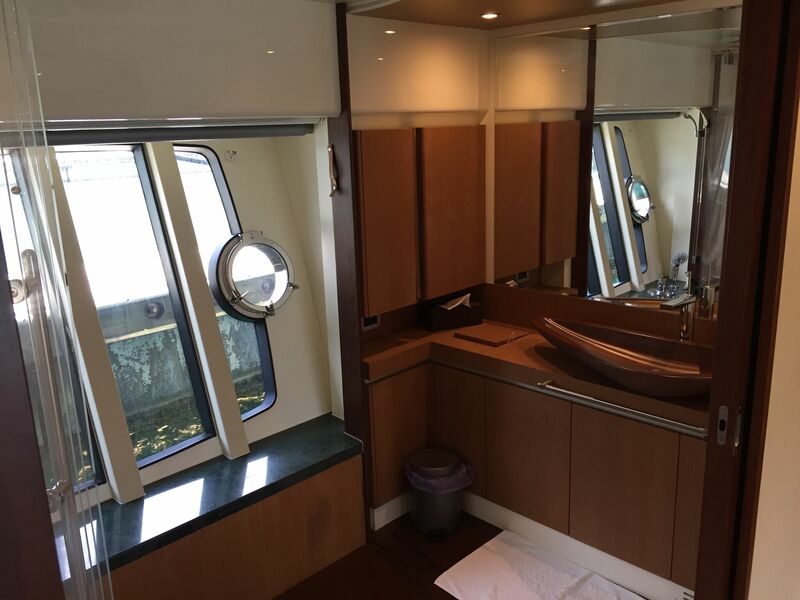 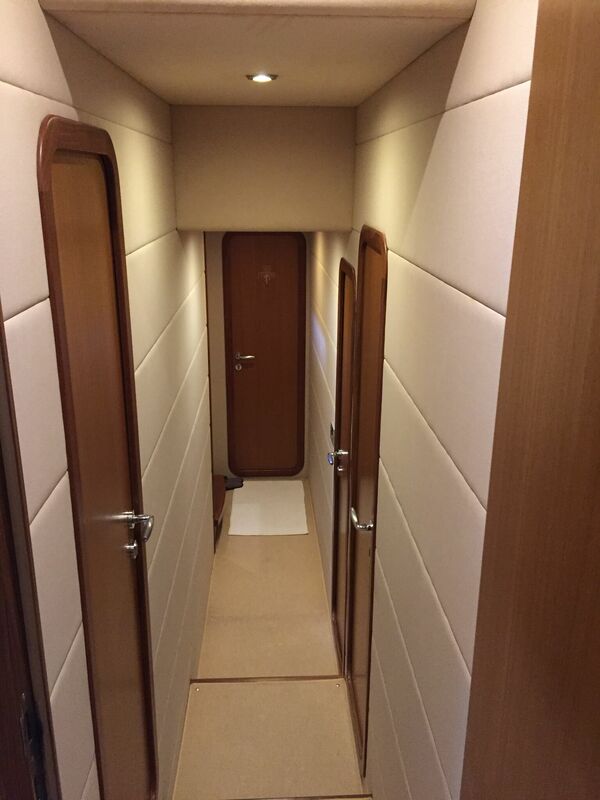 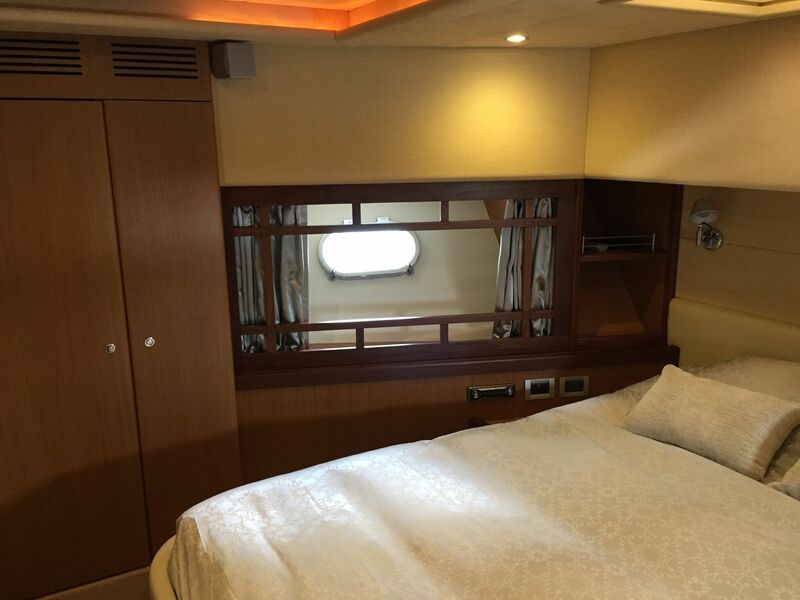 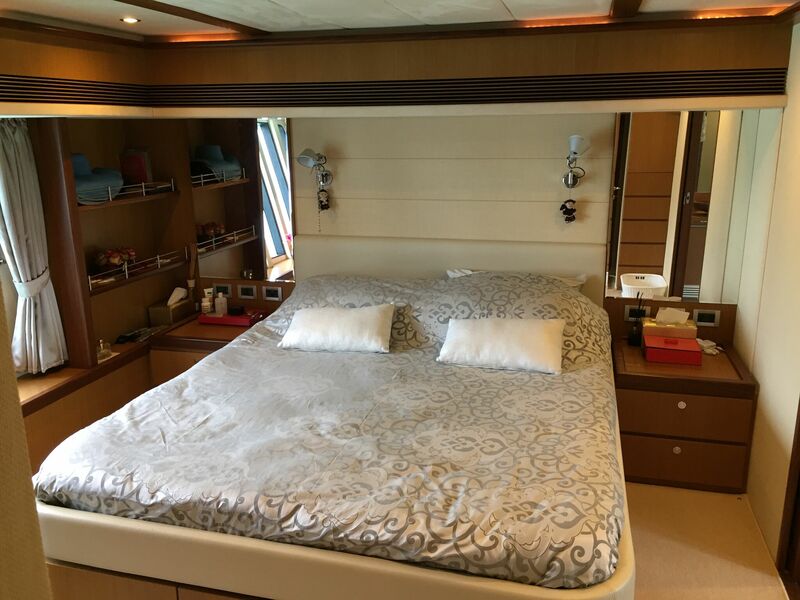 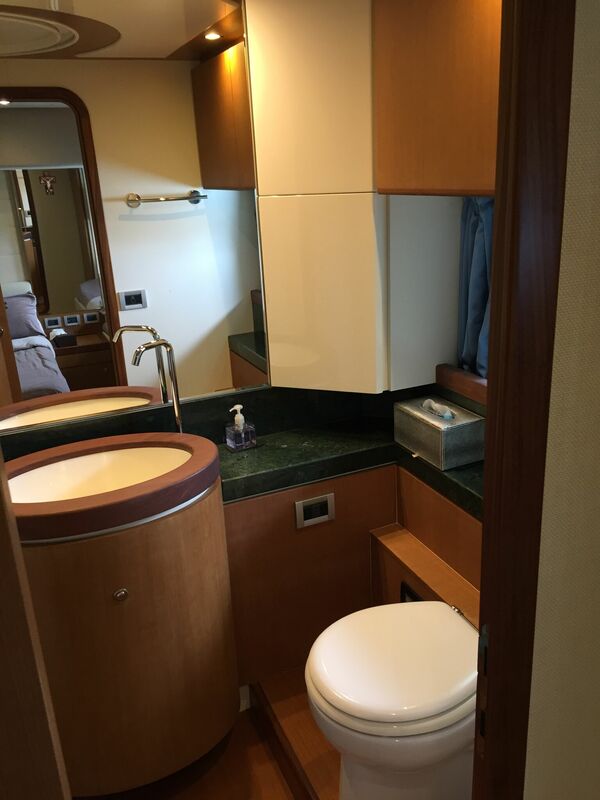 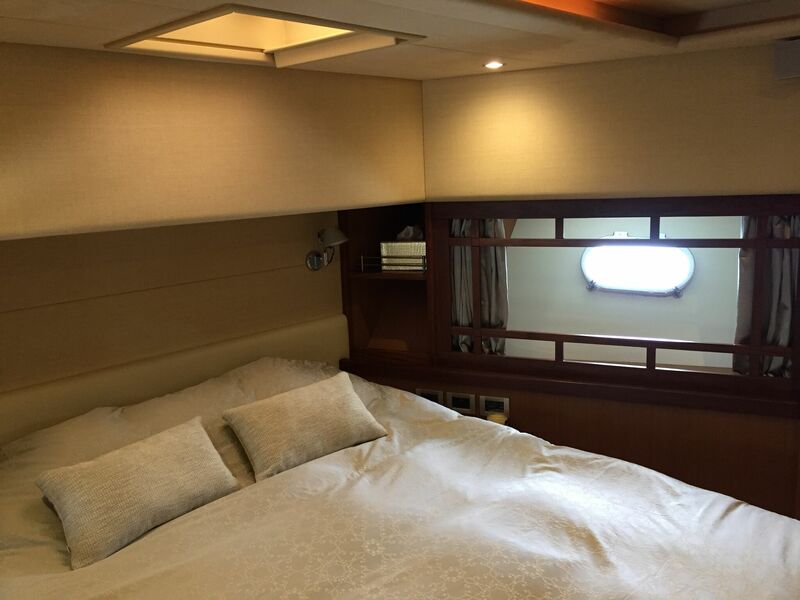 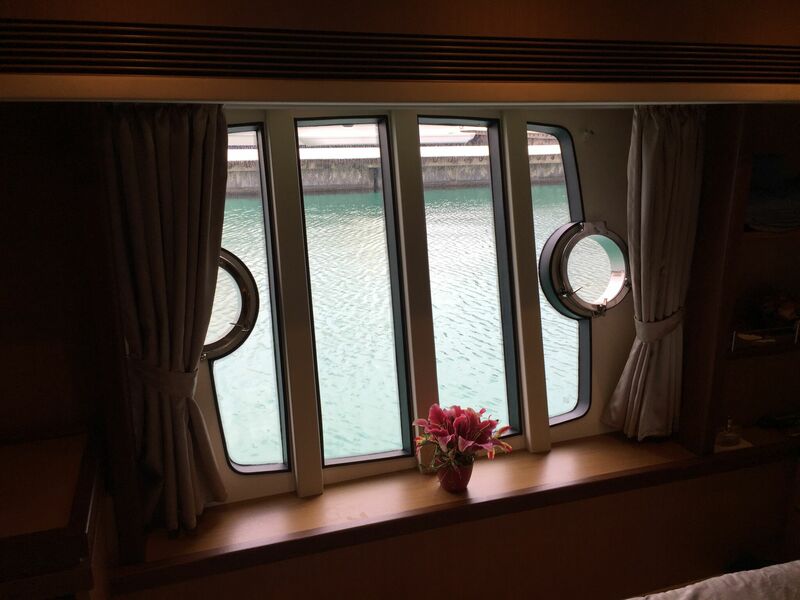 Four voluminous en-suite cabins below deck including an impressive full beam master stateroom with large port lights to allow for natural light. 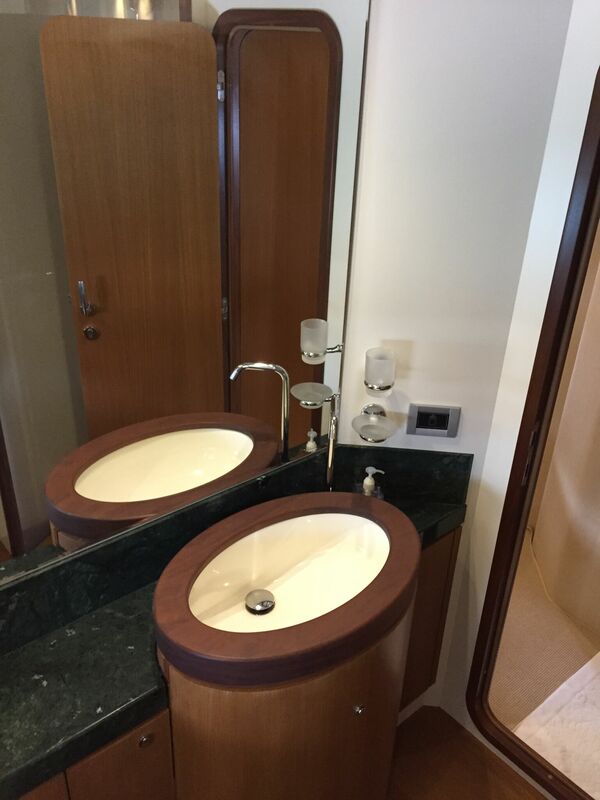 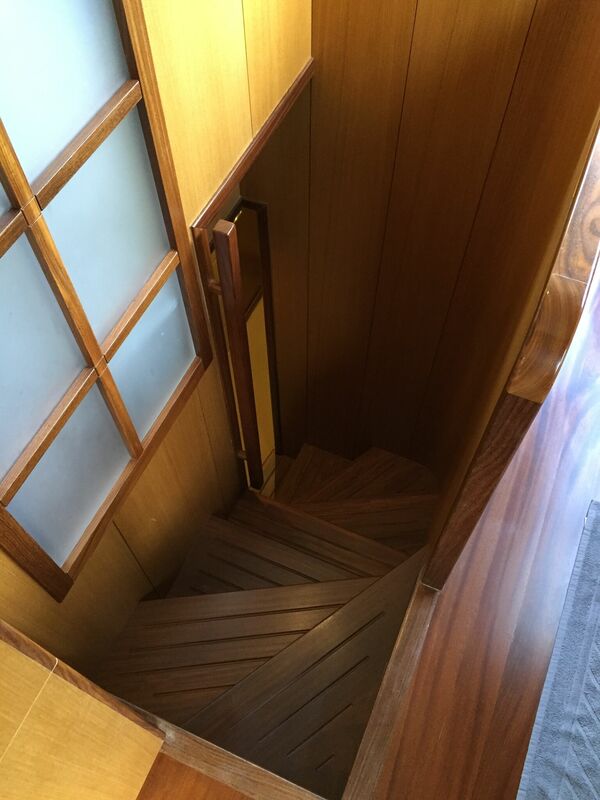 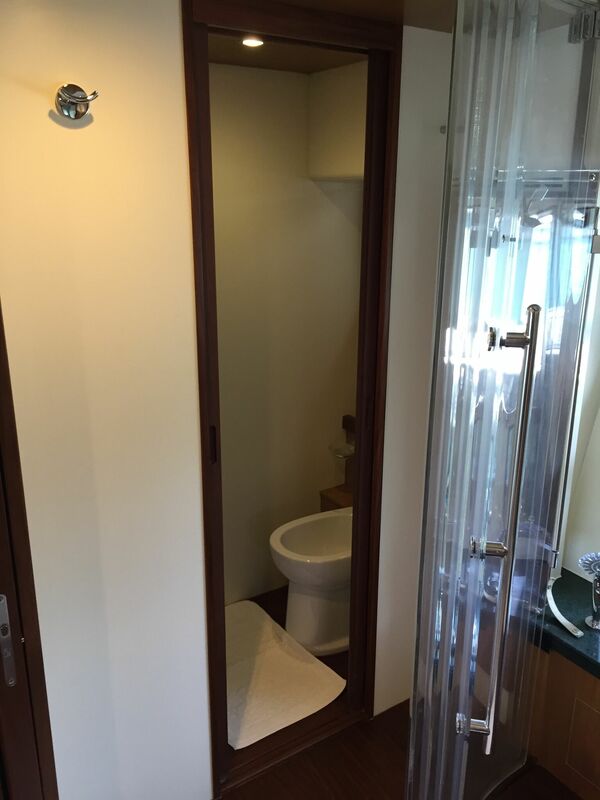 This cabin is complemented with a beautiful spacious bathroom which typically would be found on much larger size yachts. 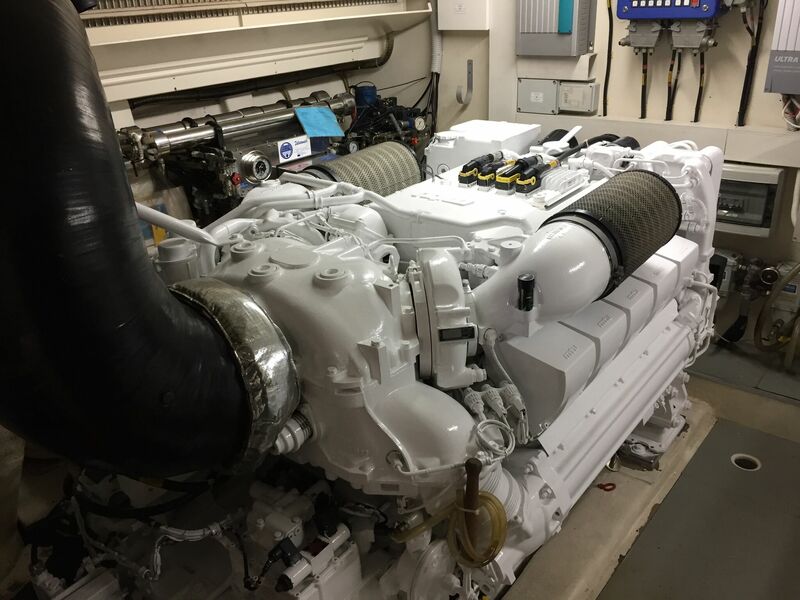 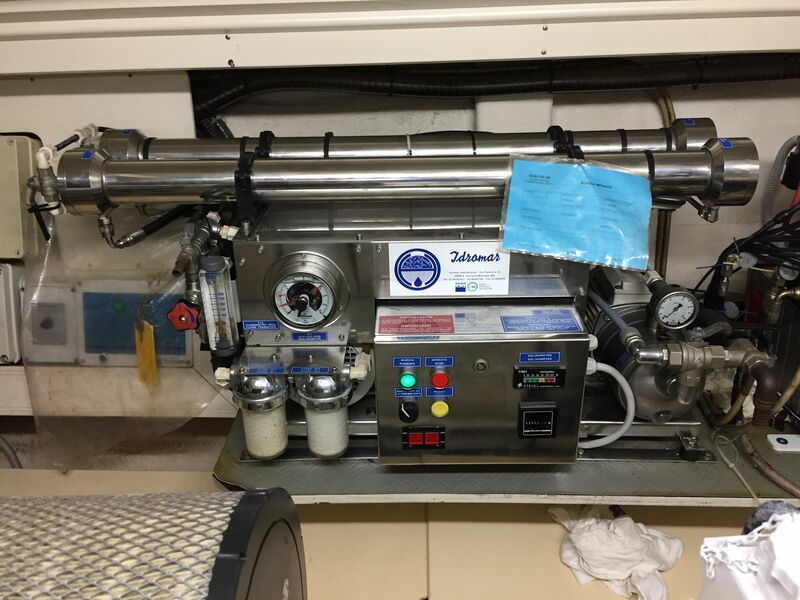 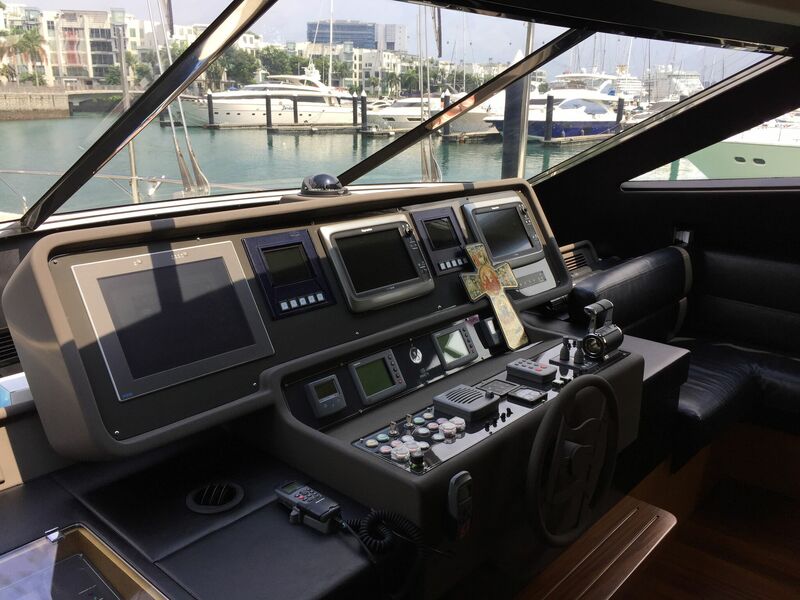 Fitted with the larger twin MTU 10V 1522mhp diesel engines allowing her to cruise at around 26 knots with a maximum speed of 32 – 34 knots, and having the added benefit of two Kohler 20kW generators and two gyro stabilizers making her an extremely comfortable ride. 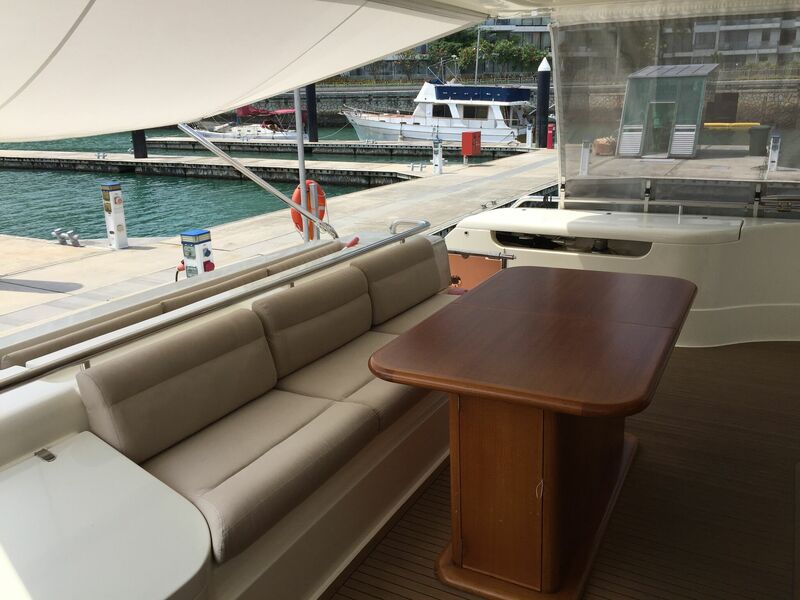 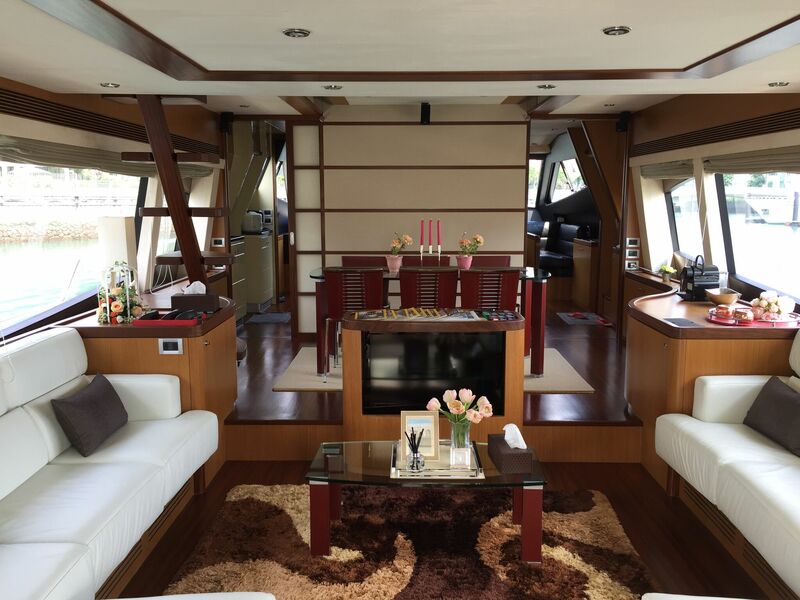 A very social saloon area with wooden flooring which enjoys a midships dinette area surrounded by large windows throughout the main deck. 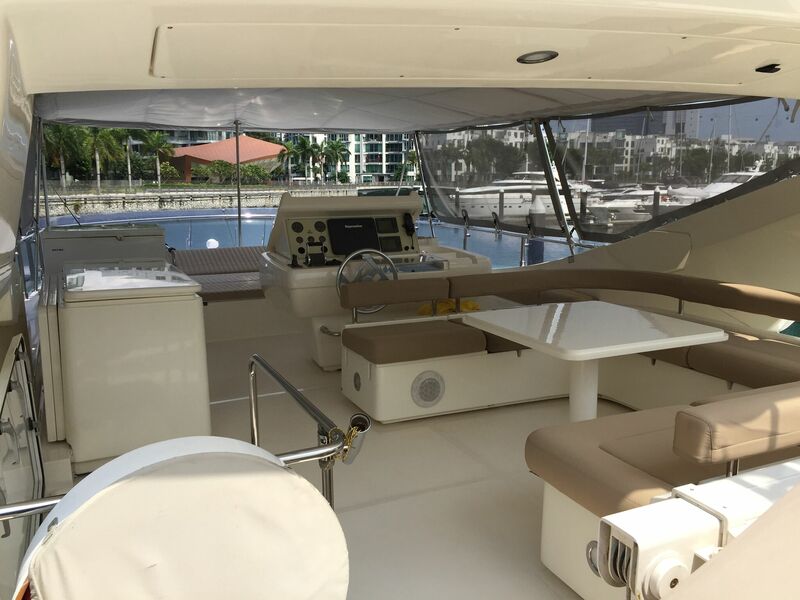 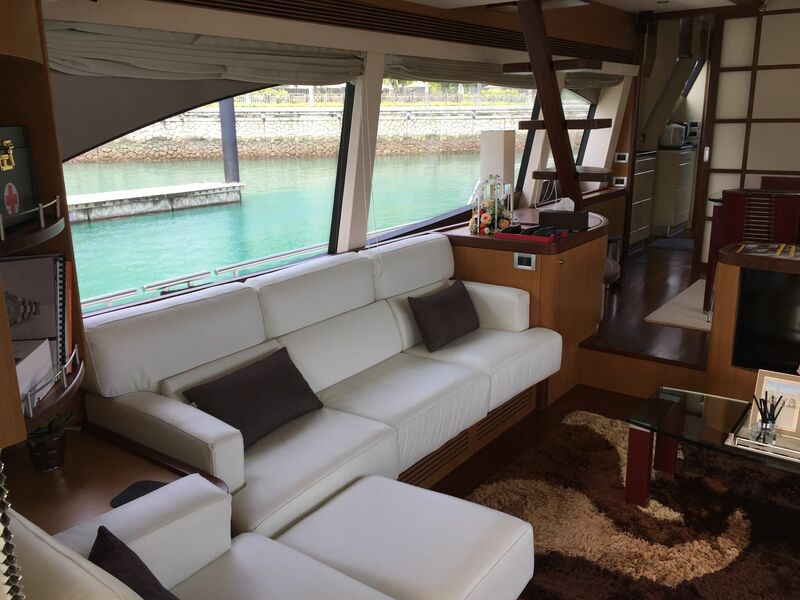 With an enclosed galley that has access to the bridge and side deck this yacht allows the owner and its guest to enjoy complete privacy when desired. 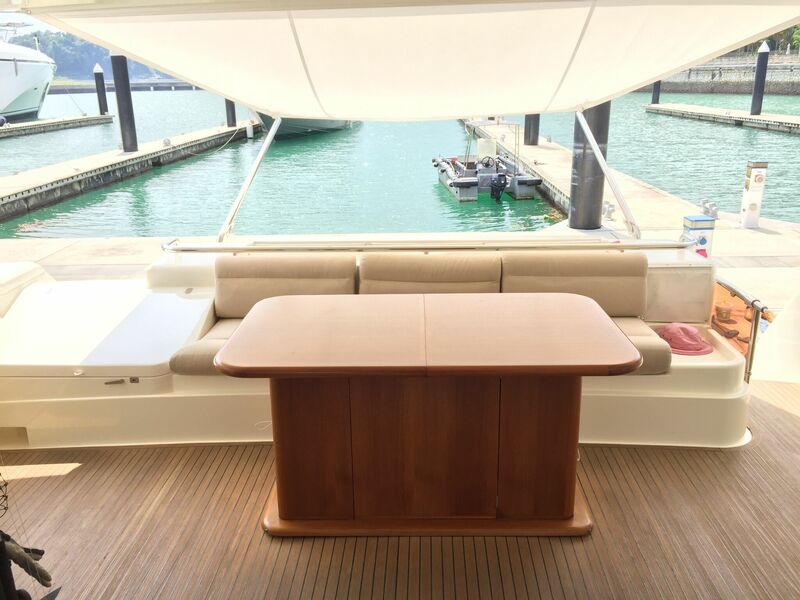 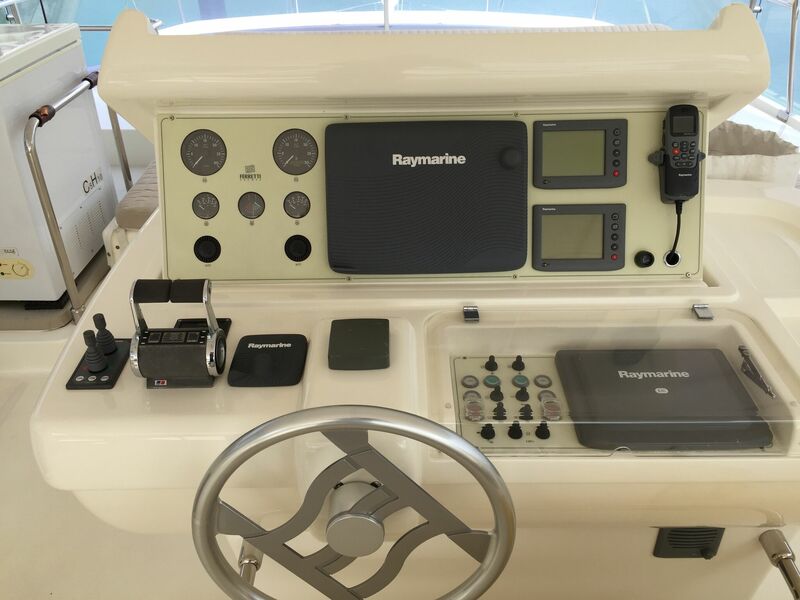 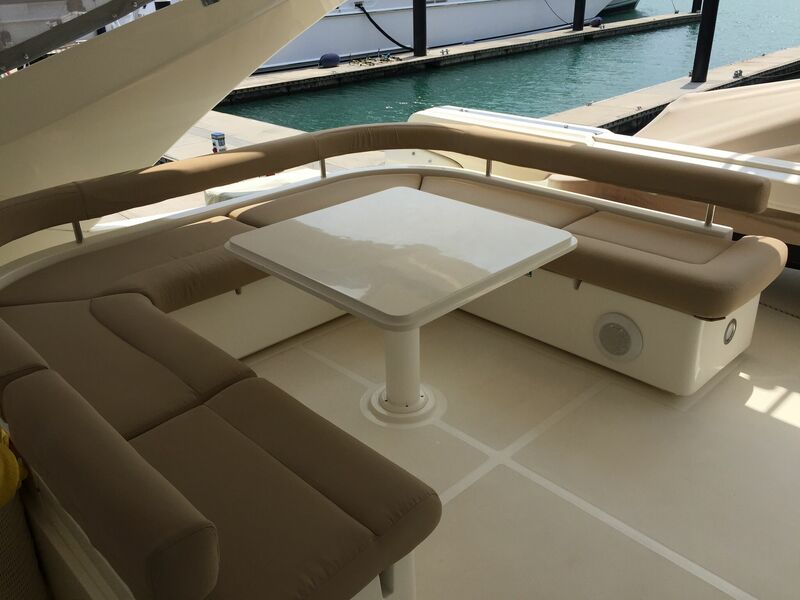 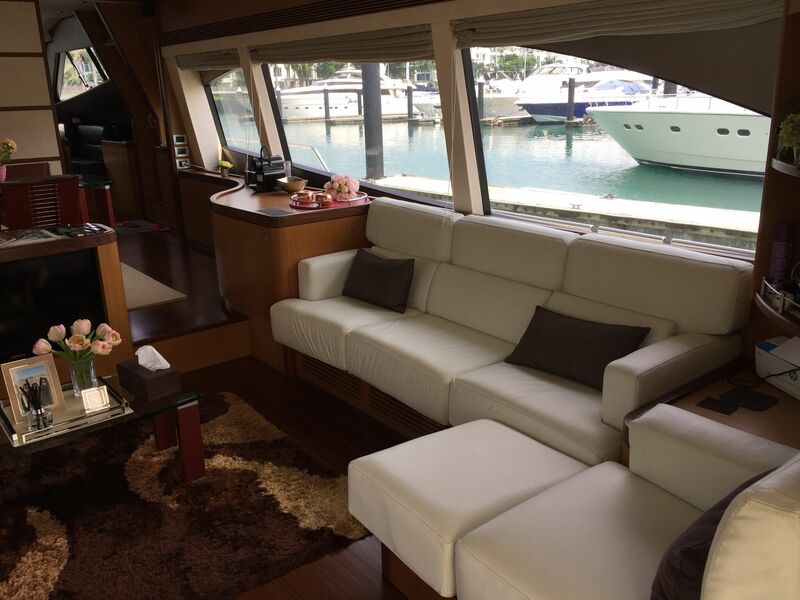 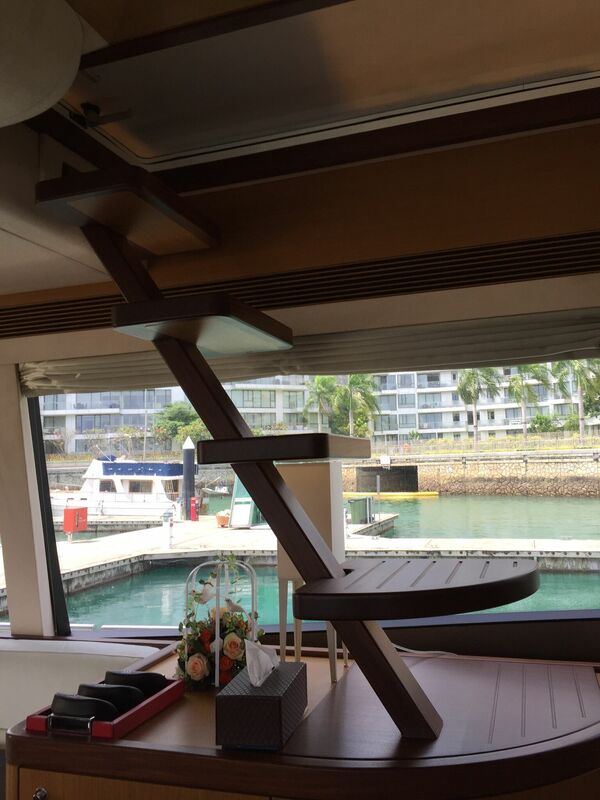 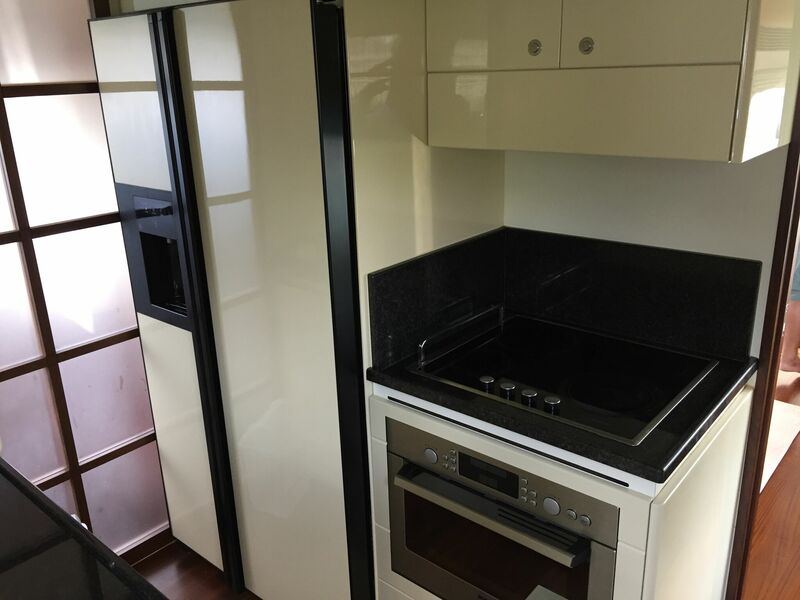 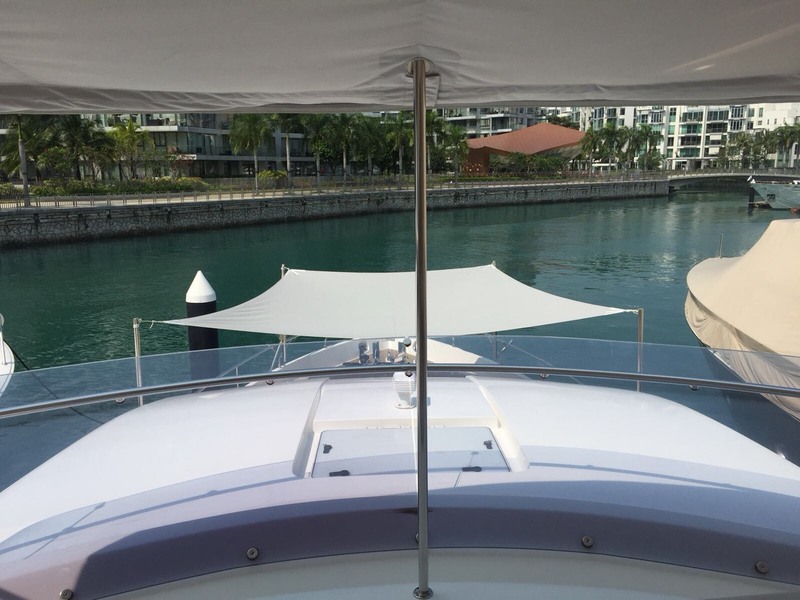 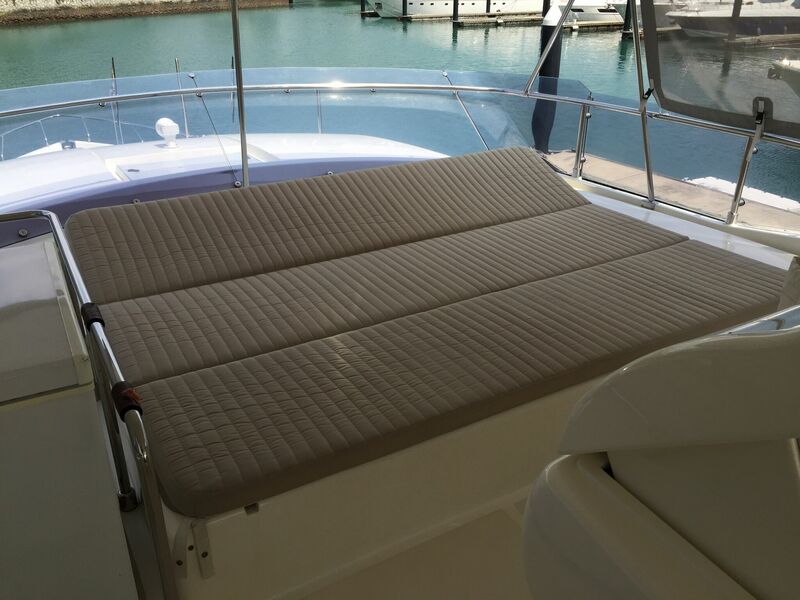 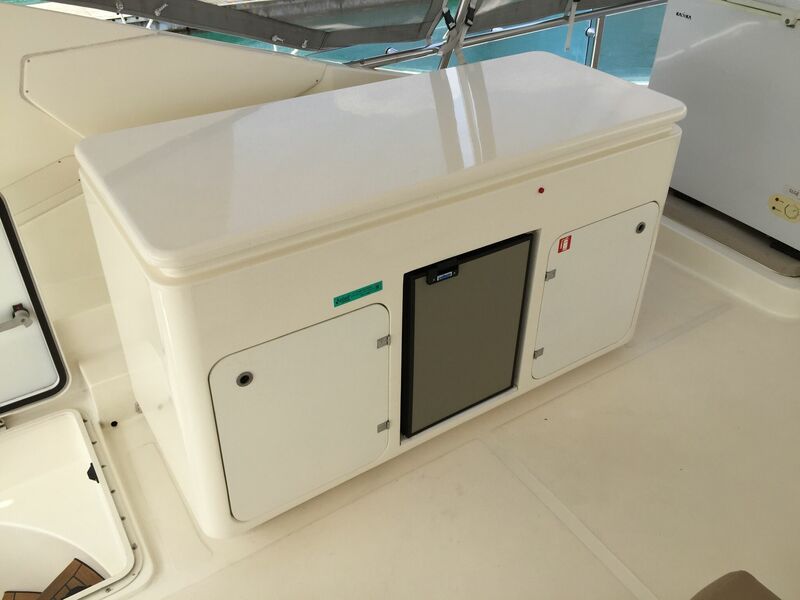 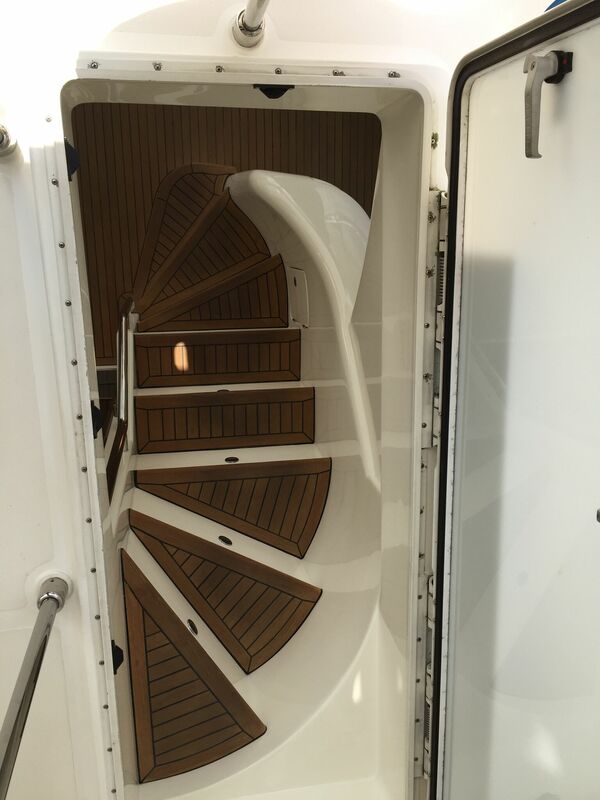 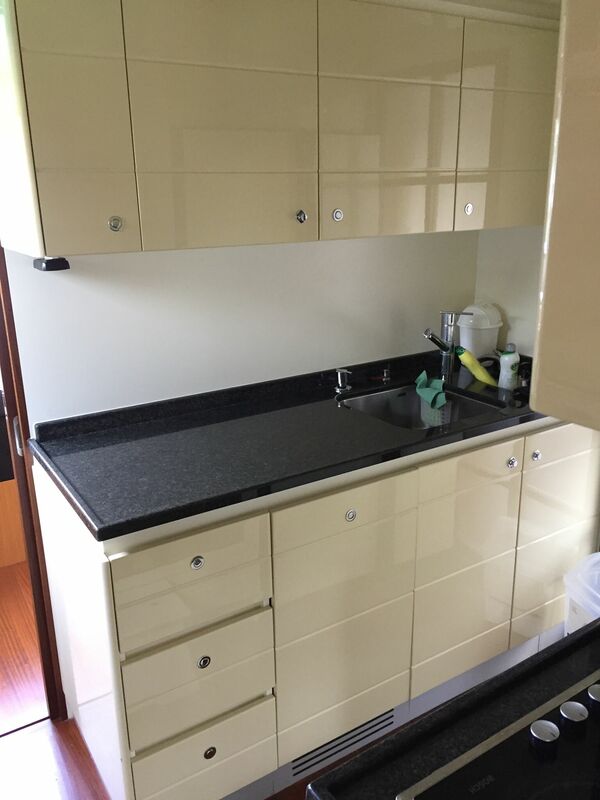 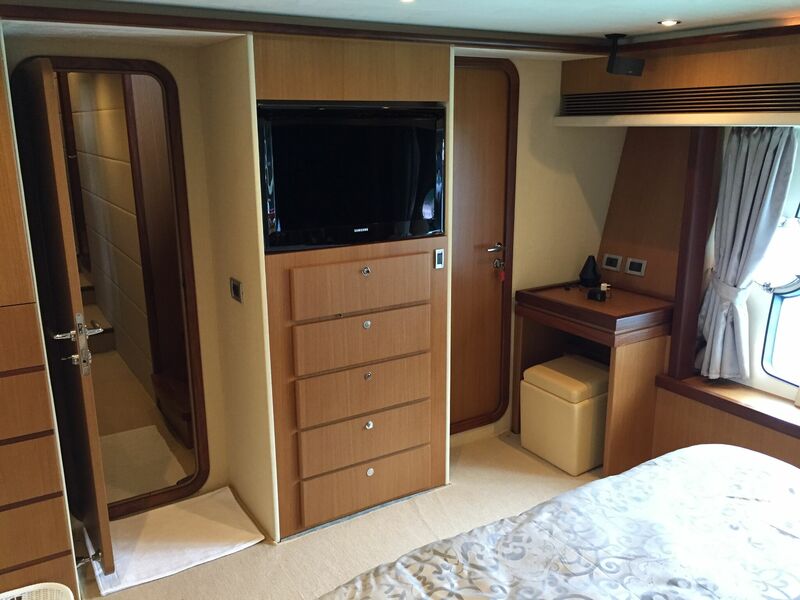 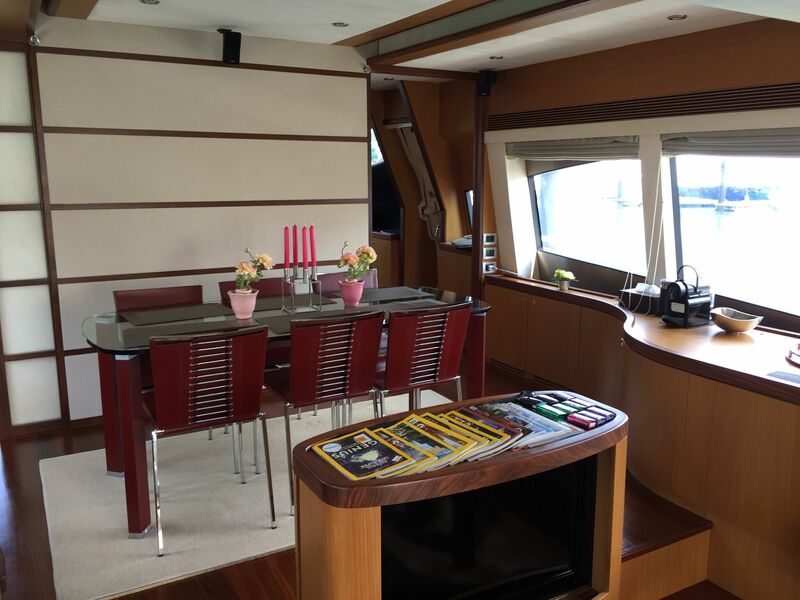 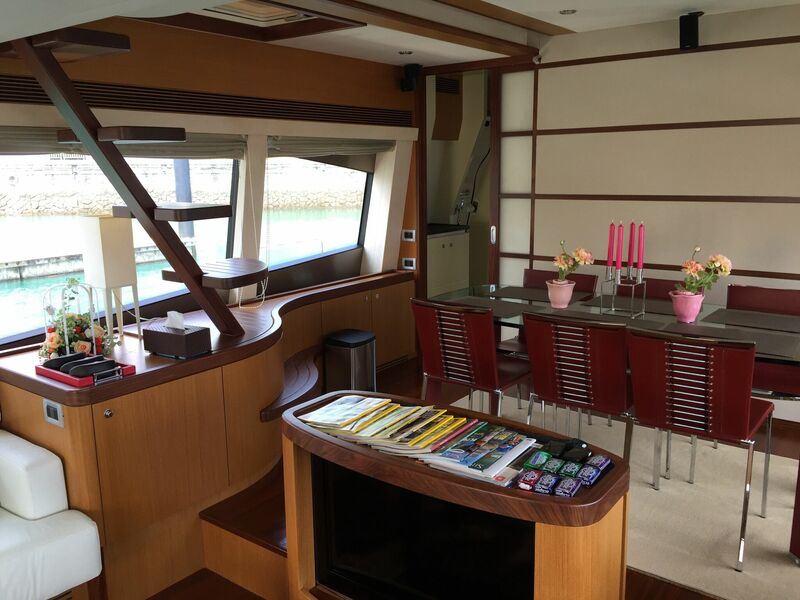 The theme of space continues up on the flybridge with a very practical and entertaining layout that can be catered for with its flybridge wetbar area. 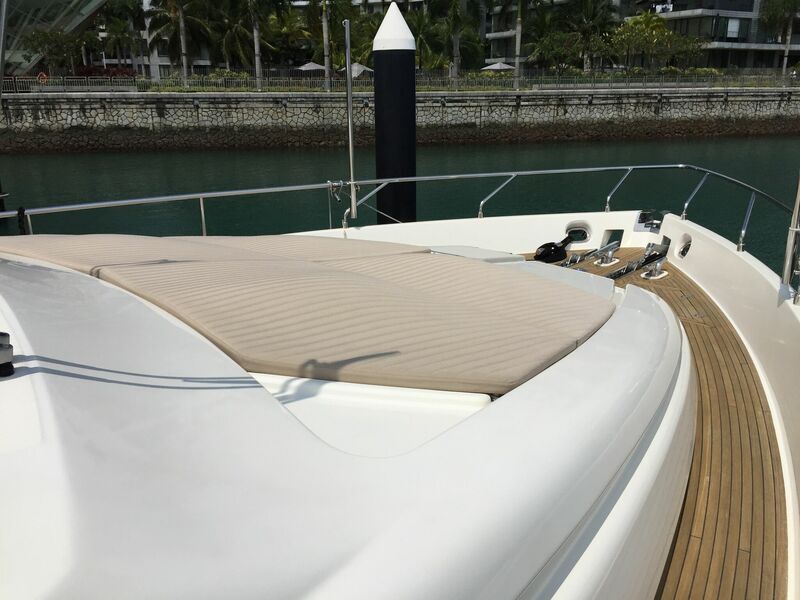 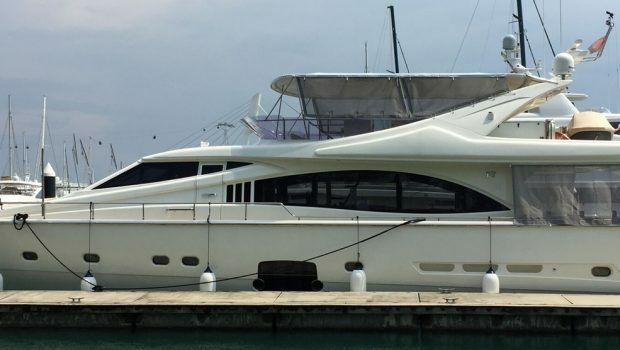 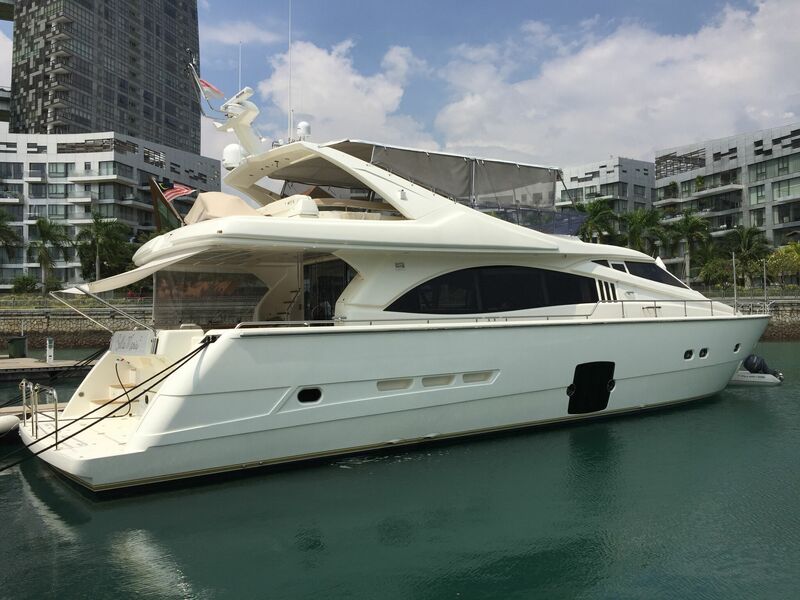 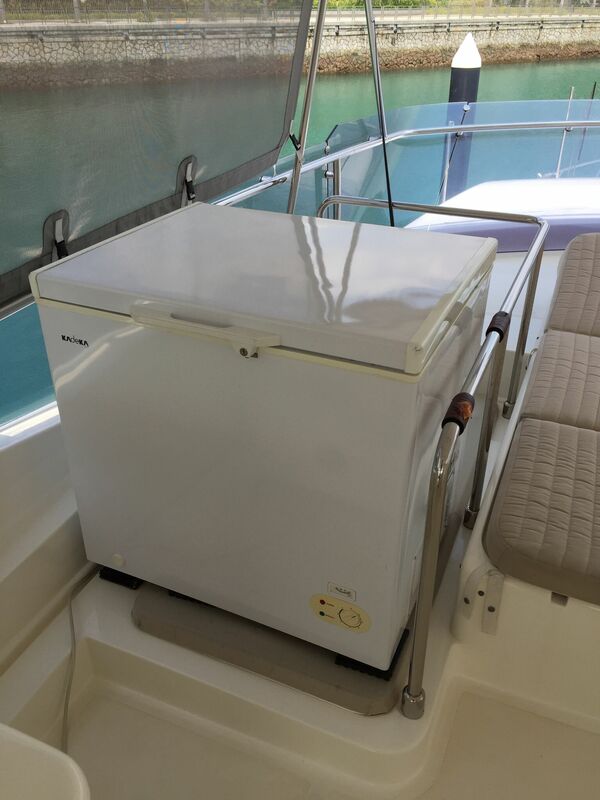 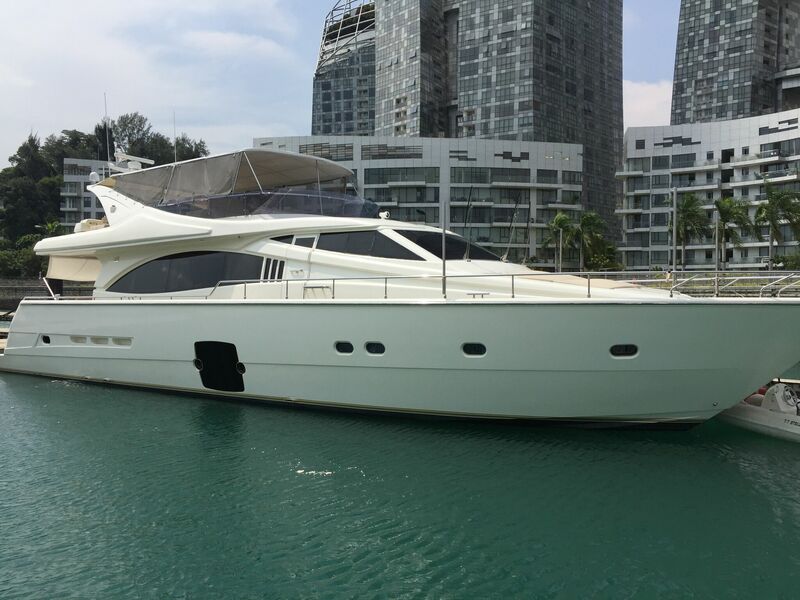 For those that enjoy their outdoor water sports, this yacht comes with a tender; jet ski; as well as its own dive compressor allowing one to enjoy the beautiful waters of Southeast Asia to its fullest. 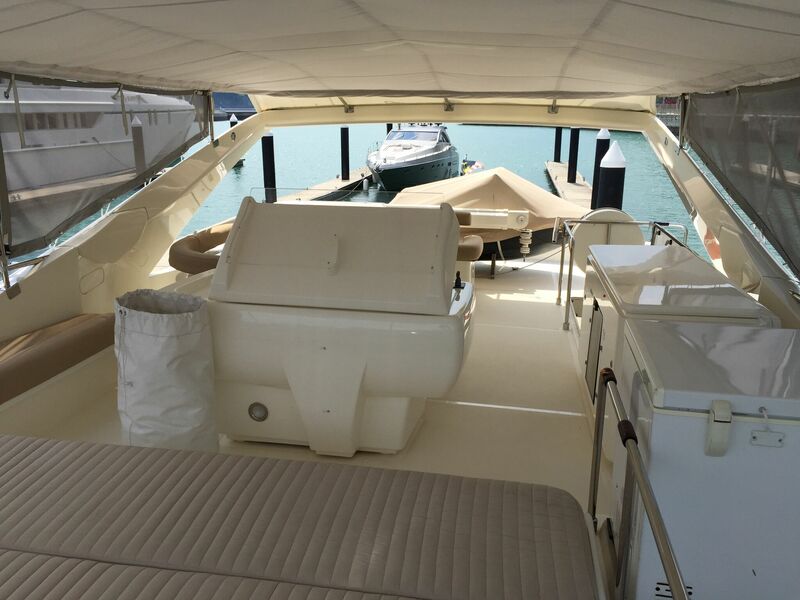 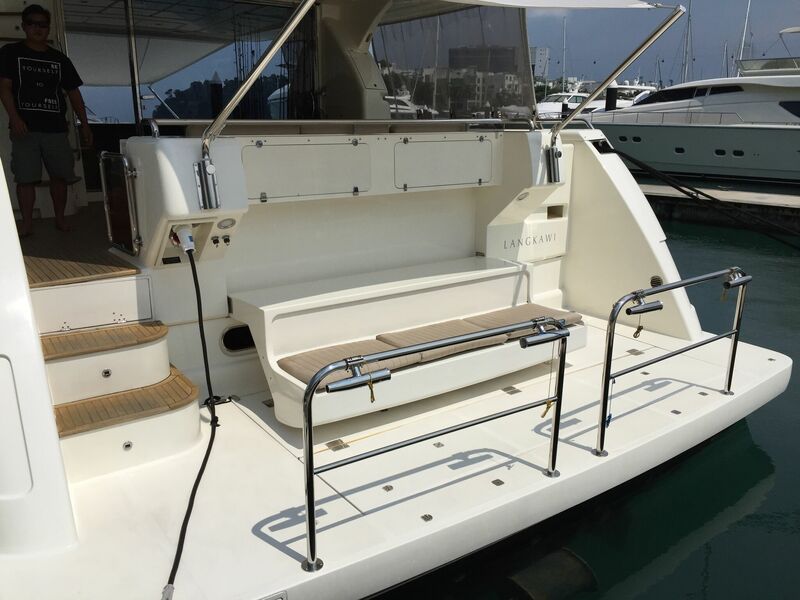 With its high specification this yacht is perfect for the region and supported by having a twin crew area to man the yacht. 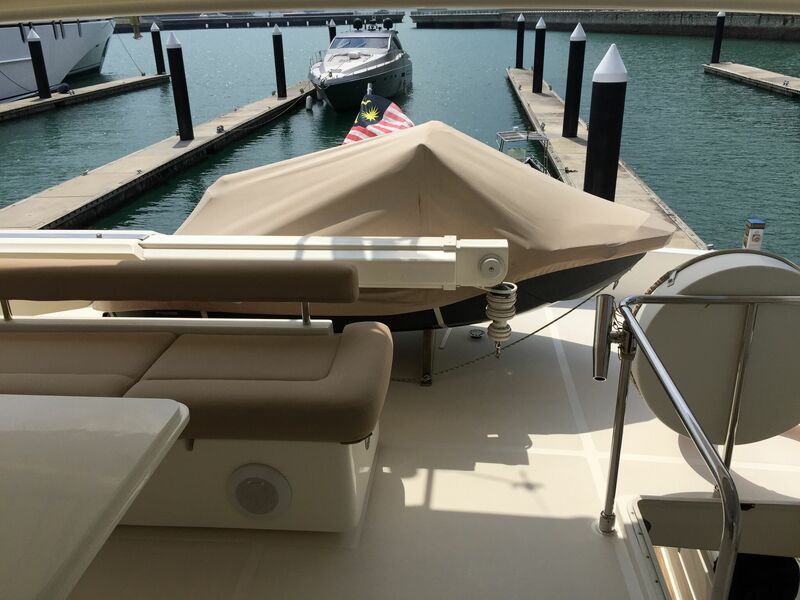 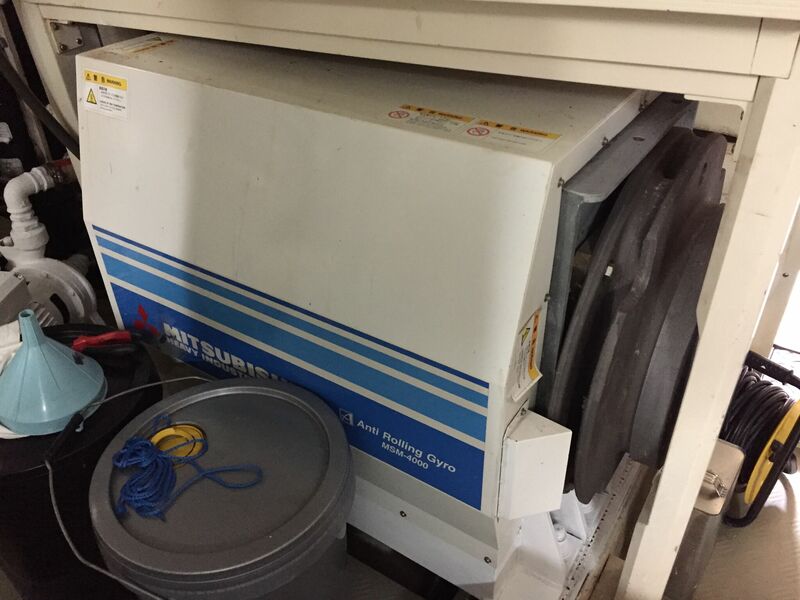 Highly recommended for viewing and is the complete package! 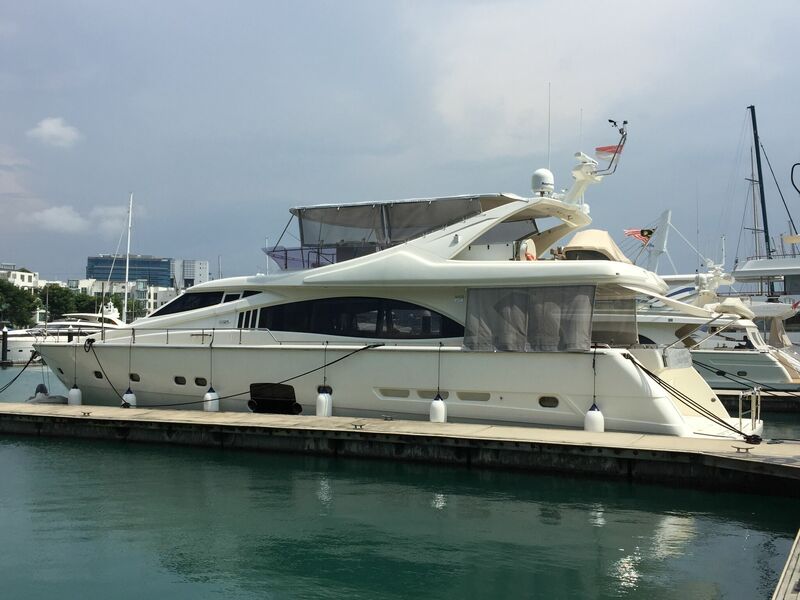 Please send me the full brochure and more information about Ferretti 731.